So. I haven’t been posting much artwork lately. I was in a funk, artwise, between weather-change, and sinus infection,and all the dreary stuff we Oregonians put up with this time of the year. I decided to back off a bit and let myself regenerate. Sometimes you just have to simmer tell the flavor is at its peak, lol! I think it has helped and I’ve been busy this weekend. I did two watercolors. It’s been fun having the Daniel Smith try-it dots. I can pick up my watercolor books and choose a project, and have all the colors necessary! No trying to decide what other color might work. I’m still using the original 66 try-it dot page, but I had to get into the 238 try-it dots for a couple of colors. The lessons I learned from these two works? 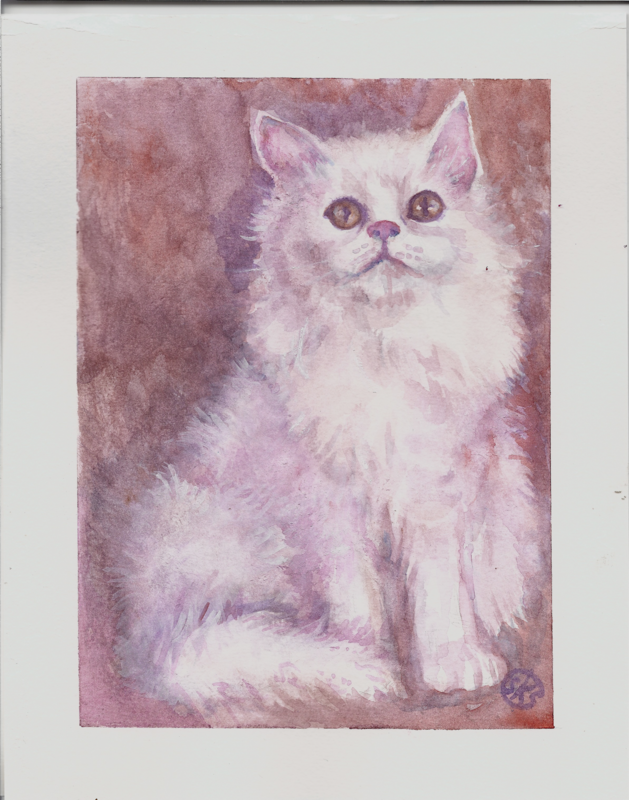 The cat is an adaptation from a project in Grant Fuller’s Watercolor A to Z workbook). I decided to use Grant’s color choices, but use a different photo reference. My photo didn’t show the whole cat, and I had trouble imagining what wasn’t there. As a result, my cat is a bit off–two styles that don’t quite mesh. Almost. Lesson learned? Either use my imagination or use a reference, unless I know the subject really, really well. 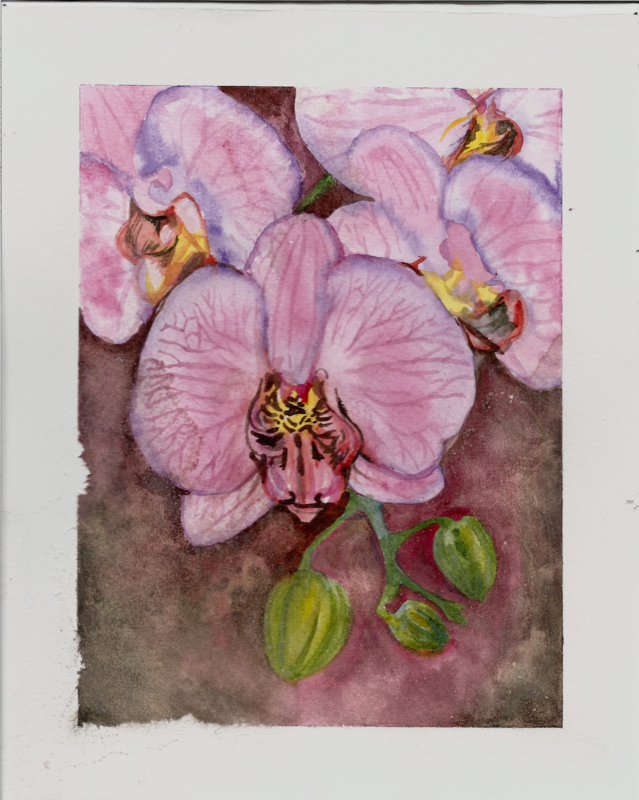 The flowers came from a project in Robin Berry’s How to Paint Watercolor Flowers. I’m starting to get the hang of color-mixing and when the project called for Sap Green, I wondered if I was going to get mud. I did. Sap Green is one of those colors that differs greatly from manufacturer to manufacturer. Mine seemed too yellow to go with the purple madder and scarlet lake, and it was. I was using it in a background, where Robin had none. So my lesson learned–when following someone else’s project, sometimes I need to listen to the author, and sometimes I need to use my own good sense. But most of all, I still need to learn which and when, lol! A life lesson we all struggle with!